Some example of project that categorized in applied research. Risk perception on oil palm smallholders. Willingness to accept sustainable oil palm schemes. Economic rent on smallholders in high-valued conservation area. Wind Energy Utilization as Renewable Resource in Bungin Village and the Impact toward Environment | The project was conducted by RCCC UI, Tropical Renewable Energy Center (TREC) Faculty of Technic, Universitas Indonesia, Lembaga Pemberdayaan Umat (LPU) An Naba, and Potenza Putra Makara, Ltd. with the funding from Indonesia Climate Change Trust Fund (ICCTF). 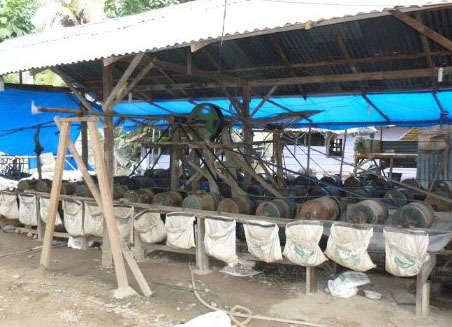 The project goals are to develop alternative energy on electricity utilizing wind as new energy source with integrated desalination process to produce drinkable water from seawater, and also to develop small local business on their specialty products along with restoration of mangrove at the coastline. Strengthening the effectiveness of Batang Gadis National Park landscape through collaborative and participative approach | Batang Gadis forest area is one of the key areas of biodiversity from 62 Key Biodiversity area (KBA) in Sumatra and included as habitat of Sumatran tiger (Panthera tigris sumatrae). The forest has designated in 2004 as the Batang Gadis National Park (TNBG) covered an area of 108,000ha, plays an important role on the sustainability of regional water management for neighboring districts (South Tapanuli, Padang Lawas, Pasaman and Rokan Hulu). It is also a landscape with important function in maintaining the quality of the source of drinking water for people and irrigating 34,500ha of rice fields and 43,000ha of coffee plantations, rubber, and cinnamon in Mandailaing Natal district. Six studies and two workshops/seminars have been conducted in collaboration with Sumatran Rainforest Institute and funded by The Forest Conservation Act (TFCA), covering aspects of the study on boundary conflicts, human and wildlife conflict, the presence of mines, forest cover changes, commodity and economic potential in Mandailing Natal district. The objective of these studies is to develop the baseline data for providing recommendation to consortium to implement in cooperation with associated local authorities associated in strengthening the effectiveness of landscape protection through collaborative and participative approach. Development of reduction emission scenario’s strategy and health consequences of air pollution in Indonesia – Toyota Motor Corporation Japan and RCCC – UI | An environmental issue that continuously worsens living conditions in many of Indonesia’s big cities is air pollution, especially that from vehicle emissions. Air pollution in major cities, especially in developing countries, has reached a crisis point. The bad air quality is responsible for death of 3 million people each year and presents a dilemma for millions worldwide that suffer asthma, acute respiratory diseases, cardiovascular diseases, and lung cancer (MOE and KPBB, 2006). Air pollution is proven as a major environmental hazard to residents in Jakarta, regardless of their socioeconomic status. 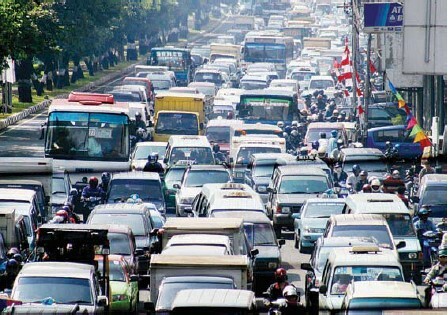 Transportation comprises 27% of Indonesia’s GHG emissions, and traffic congestion is a huge problem in Jakarta (Haryanto, 2008). Diseases stemming from vehicular emissions and air pollution include acute respiratory infection, bronchial asthma, bronchitis, and eye and skin irritations, and it has been recorded that the most common disease in northern Jakarta communities is acute upper respiratory tract infection – at 63% of total visits to health care centers (Haryanto, 2008). The estimation of negative health impacts of air pollution in Jakarta at approximately $300 million per year in 1990, and this was projected to increase tenfold by 2010 unless serious control efforts were implemented (WB 1994). The overall goal of this research is to develop reduction emission scenarios of air pollutants and to study the causes and consequences of air pollution within the broad framework of the health consequences, with an empirical focus on the Greater Jakarta region and followed by other regions in Indonesia. The expected outputs are a module of emission inventory and reduction emission scenarios to air pollution and Green House Gases in Indonesia and a module of comparative study of exposure to pollution and health effects for members of selected population groups in Indonesia. Ecosystem-based adaptation to climate change: Assisting the Batanghari River basin to adapt to climate change | Batanghari River is the longest river in Sumatra (3,322km) and is a cross-provinces watershed system. Most areas of Batanghari River basin are covered by forest. Therefore, it is crucial in terms of climate change mitigation related to carbon sink potential. Currently, Batanghari ecosystem is considered critical because destruction of forest in the upstream has caused heavy run-off and sedimentation, which has changed the hydrological pattern and traditional livelihood system. In collaboration with University of Reading through British Council’s scheme UK – Indonesia Research Partnership Programme. The collaboration is to initiate a joint research program with University of Reading and University of Jambi. Health Vulnerability: Assessment, mapping, and community-based adaptation on Dengue Hemorrhagic Fever and malaria diseases | The current and emerging climate change-related health risks in Asia and Pacific include heat stress and water- and food-borne diseases (e.g. cholera and another diarrhea diseases) as well as vector-borne disease (e.g. heat waves, storms, floods and flash floods, and droughts). 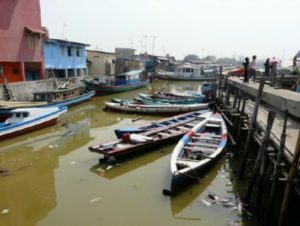 It is estimated that more than 150 million peoples are living in malaria endemic areas, compromising the productivity of productive age group and health status of pregnant women and children under five and there is also the increasing risk of Dengue Hemorrhagic Fever in many areas in Indonesia. In collaboration with Ministry of Health, funded by ICCTF starting in 2013, this research is carried out in five provinces in Indonesia.